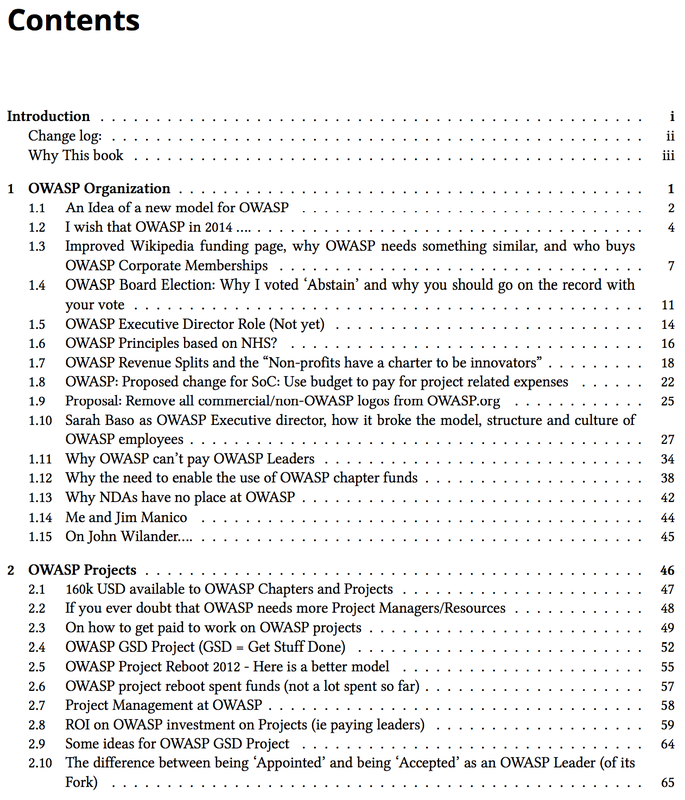 After releasing the "Practical AngularJS", Practical Git and GitHub, Practical Jni4Net and Practical Eclipse books, here is an equivalent book containing my OWASP related blog posts. This new eBook has 165 pages and is made of 67 blog posts published in the last couple years. 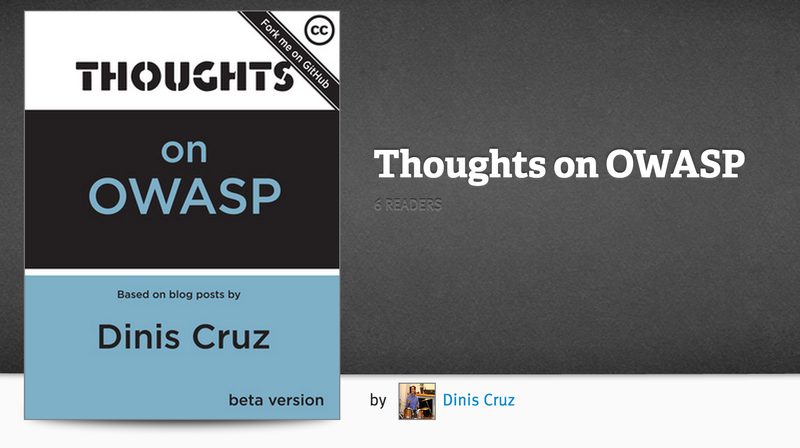 The posts are grouped by topic and represent a lot of my thinking about OWASP, the current AppSec industry and other philosophical ideas. You can download it for free, or you can also chose to pay a little bit (which would be great, since that would help with production, design, editing and layout costs). For the ones that prefer 'real books' I will be also creating soon a lulu.com project for this book.